This month, living car-lite in Victoria Also: find out what's happening at the Eastside Culture Crawl. "Victoria is a human-scale city; for me it’s easy to get around without a car." 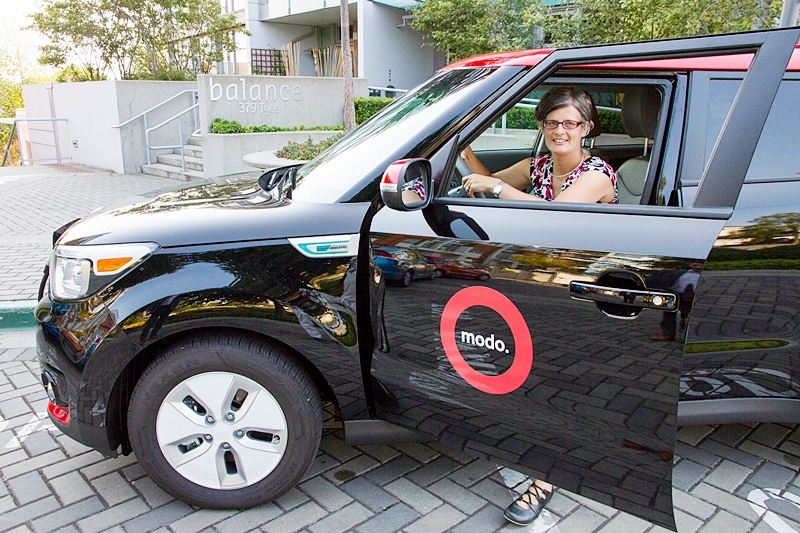 When Victoria Mayor Lisa Helps signed up with Modo, we had an opportunity to talk about why she decided to go car-lite. Aside from a personal commitment to reducing her environmental footprint, Mayor Helps is also committed to a future where all our transportation options are integrated and connect people througout the region. Over the next weeks, we'll be checking in with Mayor Helps as she officially goes car-lite. 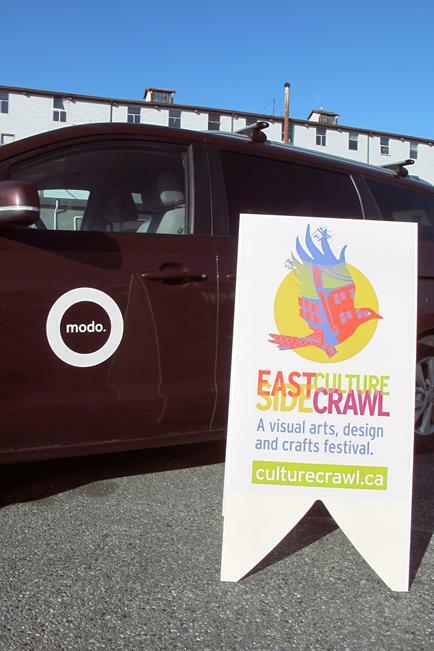 We're back with our partners at the Eastside Culture Crawl this year between November 16–19 and as the official transportation sponsor, Modo is offering two free studio shuttles. Look for our tent Saturday, November 18 and Sunday, November 19 between 2–6pm leaving from 1000 Parker Street. For a list of all moves in the Lower Mainland, Greater Victoria and Nanaimo please visit our website. CAR CHANGE at Cameron Rec Centre: a 2014 blue Chevrolet Orlando (#526) has replaced the 2017 Toyota RAV4 Hybrid. VACATED LOCATION at Guardian Angels: we no longer have a car at 1160 Broughton Street. NEW LOCATION at Aquilini Centre-South Tower: in the parkade beneath 685 Pacific Street, at the corner of Griffiths Way, you can now find a 2017 white Toyota Prius (#1012), a 2017 white Hyundai Tucson (#1013), a 2017 white BMW X1 (#1014 – premium rates), and a 2017 white Honda Fit (#1015). Whether you're looking to get your holiday shopping done after work or need a ride home on a wet November night, take it easy and keep your Modo overnight! We're lowering the overnight rates from October 31, 2017 to February 28, 2018. Perfect for rainy November nights or getting some early holiday shopping done. Book a Modo and keep it until the next morning at the lowest rate in town. Excessive speed is quite damaging for our vehicles. It adds extra stress to the engines and tires, and increases fuel consumption. But even more important than the vehicles, it puts you and other drivers in danger. Did you know members found to be using Modo vehicles in a dangerous or harmful manner can have their carsharing privileges suspended? It's a tough topic but ensuring the safety of everyone on the road will always be our top priority. Read our Carsharing Handbook to re-familiarize yourself with our co-op's rules and regulations for all drivers. Have you ever wondered how we keep our vehicles on the road 365 days a year? Join our new staff member, Kristi, for a ride with one of our fleet team technicians and learn what a typical working day looks like for them. As we come closer to the holiday season, the first thought the Modo team has every year is preparing your Modos for the winter and making sure you are all safe on the roads. 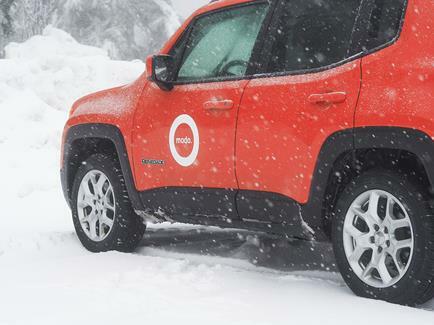 Learn more about our winterized fleet and how to search for the right vehicle for your winter adventures. Are you attending the Eastside Culture Crawl? 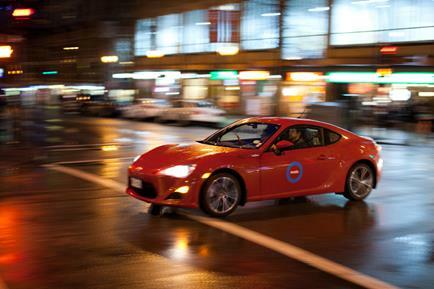 Do you need a lift to-and-from any East Van studios? Take our Quick Poll and let us know! Spread the word about Modo and help us grow! If you refer a new member between November 6–30, you'll both earn $25 drive time. Find out how you can start referring today on our blog! Starting November 8th and ending November 28th, bookings in these cars are 10% off! >>TAKE A BREAK Put your phone away when driving! 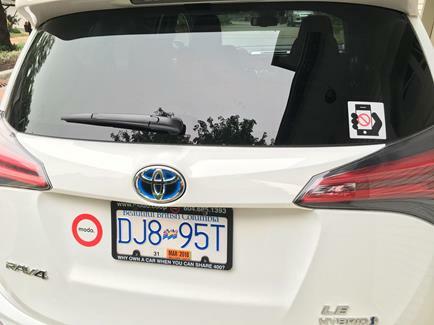 Modo supports the ICBC #EyesFwdBC camapign and we're placing stickers on all cars. Help us spread the message. >> MODO IS HIRING Modo is hiring a Director of Fleet Operations and a Contact Centre Manager. Check out our current job postings on the Modo Career page! 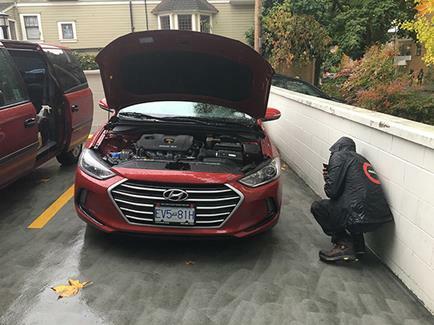 >> FERRY MODO Check our list of seven Modo cars located at the main ferry terminals Horseshoe Bay, Tsawwassen, Swartz Bay and Departure Bay - and learn about the new Coast Car Co-op car at Langdale and how to access it. >> MEMBER PARKING Modo members enjoy parking perks at the stores and local mountains listed on our page. New Westminster to Quesnel is a long drive but nothing a Modo can't handle. Check out this member testimonial—maybe it'll inspire your next long trip. An annual event, Interesting Vancouver engages our diverse community by bringing together people for a fun and inspiring night. Walk, take transit or cycle to the Crawl and take advantage of Modo’s free Crawl Shuttle on Saturday and Sunday from 2-6pm. The Modo minivans leave right outside the Parker Street Studios building—look for the Modo sign! Studio Shuttle: Leaves every 30 minutes to Railtown and Portside Studios. Transit Shuttle: Leaves every 30 minutes to a transit hub (Main Street and Commercial Drive SkyTrain, Broadway-City Hall Station, Waterfront Station). Modo members can also park their Modo in the VIP stall right outside the Mergatroid Building, marked with a Modo sign. First come, first serve! Now accepting applications for this fall's Cooperate Now program. Cooperate Now will be held November 16-19, 2017 in Vancouver. Apply here. The 2017 campaign kicks off with the 6th Annual BC Buy Local Week on November 27–December 3, 2017. 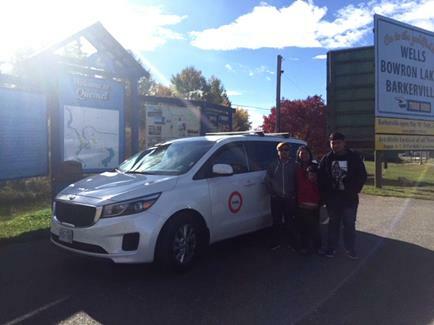 Consider booking a Modo to support your local carsharing co-op when you're shopping local!